Katie Mann came to Pavones in 2005 to carry out her Master's field work in primate conservation. Despite a lifelong dream to work with the apes in Africa, she was hooked on the local cultures and pristine beauty of Pavones, Costa Rica. She returned in 2007 to establish a monkey conservation program and has lived in the area full time for 7 years. She has a broad and rich understanding of local life, having worked directly with the Ngäbe community for her conservation project and having mothered a child to a local man. 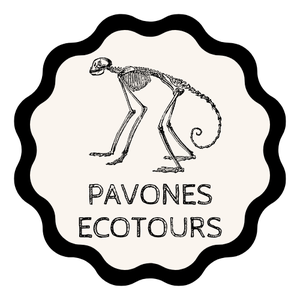 Her experiences and knowledge are unsurpassed for the relatively short time that she has been in Pavones. From non-profit conservation work, to hotel management, to mothering, to selling jewelry on the beach, Katie has done it all (except learn to surf!!!) She has facilitated countless people to visit with the Ngäbe. She speaks English, Spanish, and a little bit of Ngäbere, the language of the Ngäbe people. In 2015 Katie acquired her permanent residency in Costa Rica. To learn more about Katie's conservation work click here. Phoenix is a dual citizen of Costa Rica and the United States of America. 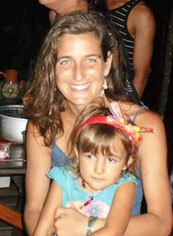 She was born in Costa Rica in 2009 to Katie, an American citizen, and a Costa Rican father. She is a very well traveled girl, having been to 5 countries before her fourth birthday. She may or may not be with us on our trips, depending on logistics, however, she is a joyful addition to any outing!